Due to aging, immune cells become lazy and sloppy. They no longer dare to battle against germs, or against derailed endogenous cells with nefarious intentions. Fortunately, probiotics keep the immune system alert and strong, researchers at the University of Reading in England discovered. 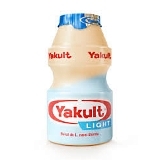 They had over 55s drinking 2 bottles of Yakult Light every day. We don't beat about the bush. Yep, this research is sponsored by Yakult. In addition, one of the authors is on the payroll of Yakult. The researchers had 30 healthy subjects aged 55-74 drinking two 65 milliliter bottles of Yakult Light every day for 4 weeks. Yakult contains the probiotic bacterium Lactobacillus casei Shirota. On another occasion, the researchers gave the subjects a placebo. Before and after the supplementation period, the researchers took blood samples from the subjects, and studied the immune cells floating around in it. Natural Killer cells are the body's first line of defense against germs and cancer. The researchers put these Natural Killer cells, together with germs, in a test tube in a ratio of 100/1 [ET = 100]. The administration of Yakult increased the number of germs that were terminated by the Natural Killer cells. You can see that at the bottom left. Above right, you see that administration of Yakult increased the number of germs that were killed per Natural Killer cell. Due to the aging process, the immune system becomes not only lazy, but sloppy as well. A sloppy immune system causes continuous low-grade inflammations in the body. A measure for this is the ratio interleukin 10 / interleukin 12. The lower the ratio is, the more serious are the inflammations. However, supplementation with Yakult raised that ratio. "In conclusion, a probiotic drink containing Lactobacillus casei Shirota may promote innate immunity by increasing its activity and may increase inflammatory status by increasing the IL-10 / IL-12 ratio in older people," the researchers conclude. Drinking kombucha every day may extend your lifespan. Forgotten animal study. 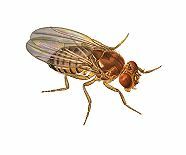 Okay, okay - of fruit flies. But still. If you've eaten Emmentaler or any other holey cheese, then you'll also have consumed Propionibacterium freudenreichii.